With Thanksgiving just around the corner, it’s time to head to the grocery store to buy all the delicious ingredients for your holiday feast. 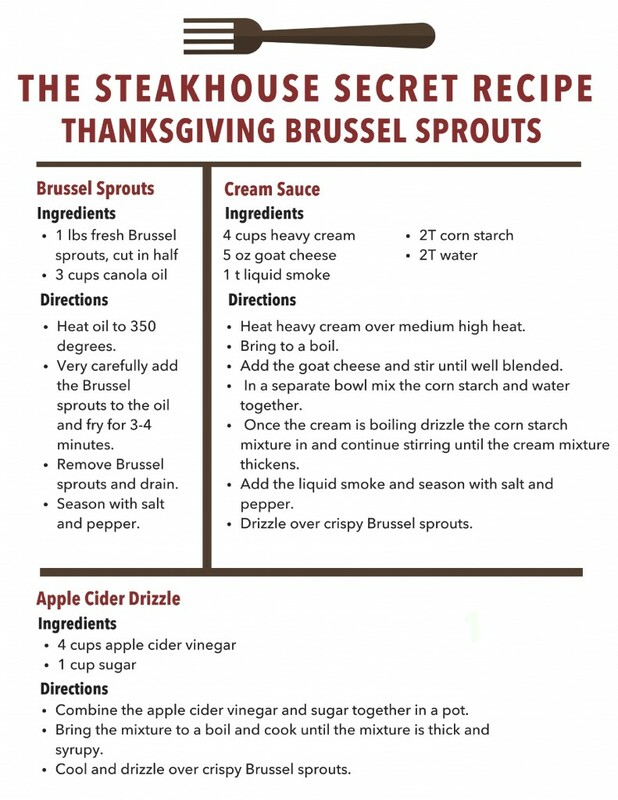 Chef Ryan from The Steakhouse at the Paso Robles Inn has shared one of his secret recipes for tasty Thanksgiving Brussel Sprouts. Add this dish to your Turkey-Day spread or join us for a buffet at The Steakhouse on Thanksgiving Day served from 11:30a.m. until 7:00p.m. Whether you prefer to DIY or dine out, you’ll be thankful for fresh, savory recipes like Chef Ryan’s. Just click the recipe below to print.